Take a deep breath. Can you smell the weed smoke billowing in from Colorado and California? Have you read about the citizens of Maine and Massachusetts who turned into zombies from puffing blunts all day? Have you seen the news reports about the scores of people in Oregon and Nevada who overdosed on marijuana? No. Because, nope, none of that happened. As of 2017, 28 states have passed laws legalizing marijuana in some form. While a majority of states now allow the possession and use of cannabis for medical purposes, eight states (plus Washington, D.C.) have fully legalized the use and possession of marijuana. According to the Pew Research Center, a majority of Americans (59 percent) believe that marijuana should be legal, including an identical percentage of blacks. So why are so many states still holding out on medical-marijuana reform? You guessed it: conservative Republicans. Sixty-two percent of people who identify as conservative Republicans believe that weed should be illegal, while 55 percent of all Republicans support cannabis prohibition. As with all things Republican, they choose to ignore the racial dynamics of their policies and how they affect people of color. Marijuana legalization is not just a political or legislative issue; it is also about race. It is intertwined with almost every issue facing African Americans and should be front and center on black America’s agenda. The Nixon campaign in 1968, and the Nixon White House after that, had two enemies: the antiwar left and black people. You understand what I’m saying? We knew we couldn’t make it illegal to be either against the war or black, but by getting the public to associate the hippies with marijuana and blacks with heroin. And then criminalizing both heavily, we could disrupt those communities. We could arrest their leaders. raid their homes, break up their meetings, and vilify them night after night on the evening news. Did we know we were lying about the drugs? Of course we did. 2. We could use that money. Because the black unemployment rate is usually twice the rate for whites. Because—even when the income level and tax base is the same—the more black students a school has, the less funding it will receive. Think about what a company with $1 billion in revenue could do for employment. Imagine what an extra $200 million could do for school funding, scholarships and community programs, not to mention the exorbitant amounts of money communities spend enforcing, prosecuting and incarcerating people for weed. 5. Stop and frisk is a marijuana-arrest tool. The policy was never about guns or safety. An analysis of the New York City Police Department’s 2012 data revealed that cops used stop and frisk to recover 729 guns but stopped 26,000, and arrested 5,000 people for marijuana possession. Blacks and Latinos were more likely to be stopped than whites but less likely to be found with a weapon or drugs. Since a court ruled stop and frisk unconstitutional, the NYPD has replaced it with ramped-up marijuana arrests, specifically targeting minorities. 6. It criminalizes black kids. By 12th grade, both white and black juveniles were found to have used marijuana at the same rate (pdf), but underage black children were arrested for it at higher rates than their white counterparts. Even though pot is illegal everywhere for juveniles, if your children were going to buy weed, would you rather have them purchase it from a drug dealer or a legal dispensary? 7. The long-term effects are dire. We’ve shown how marijuana laws are enforced unequally, but what are the effects of such disparities in enforcement? If black children are arrested more often for marijuana, the long-term effects can be dire. A drug conviction could render a student ineligible for financial aid and could pop up during employee-background checks, eliminating opportunities for employment. The disparity in sentencing affects the families of the people convicted, increases the number of parents taken away from their children, and trickles down into poverty and unemployment rates. Legalizing pot is not just a hot-button political topic; it is the first step in dismantling the war on drugs that has wreaked havoc on the black community for 80 years. 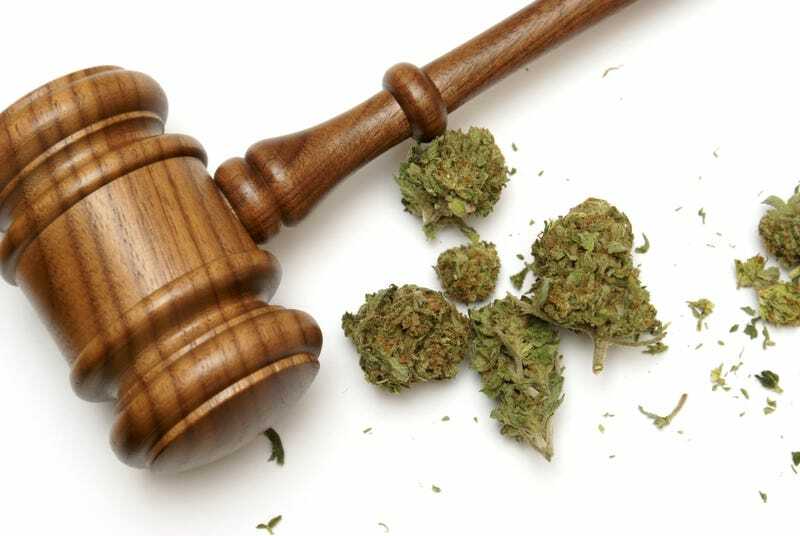 Marijuana prohibition affects more than the people who partake of the substance—it is a critical issue that touches the lives of everyone in black America. Plus, when weed becomes a legal drug and Snoop Dogg becomes to marijuana what Colonel Sanders is to chicken, the Super Bowl commercials are gonna be lit!